A six-night cruise from Mantua to Venice through the heart of three Italian regions – Emilia Romagna, Lombardy and Veneto. The cruise calls at Valdaro, Torretta, Rovigo, Porto Viro, Porto Levante and Chioggia and includes optional excursions to Cremona, Parma, Verona and Vicenza. Cruise only prices from A$2156 per person. This cruise is also available in reverse. Departures between April and October 2020. Six- and seven-night cruises through the Aquitaine region from Bordeaux to Royan, along the Gironde Estuary and on the Garonne and Dordogne. These round trip cruises from Bordeaux call at Pauillac, Royan, Libourne and Cadillac and includes optional excursions to Rochefort, La Rochelle and Saint-Emilion. Cruise only prices from A$1854 (six-night) and A$2261 (seven-night) per person. Departures between April and October 2020. A five-night cruise along the Moselle through the romantic Rhine Valley and Alsace and Switzerland. This cruise from Cochem to Basel calls at Koblenz, Rüdesheim, Mannheim, Strasbourg, Rhinau and Breisach and includes optional excursions to Heidelberg, the Alsatian Wine Route and Haut-Koenigsbourg Castle. Cruise only prices from A$1510 per person. This cruise is also available in reverse. Departures between April and October 2020. A seven-night cruise from Budapest to Munich that includes a performance of the Passion Play in legendary Oberammergau. The cruise calls at Bratislava, Vienna, Melk and Passau where guests disembark and transfer to a hotel for two nights, during which they’ll attend the spectacular Passion Play. Cruise only prices from A$3732 to include ticket to the Passion Play and two nights in a hotel. This cruise is also available in reverse. Departures in June, July and August 2020. A breath-taking seven-night coastal cruise through the Adriatic visiting Croatia, Montenegro, Albania and Greece. The cruise is round trip from Dubrovnik and visits Corfu, Saranda, Vlore, Durrës and Bar and includes optional excursions to the ancient ruins of Butrint, UNESCO World Heritage Site Berat and the magnificent old town of Stari Bar. Cruise only prices from A$2485 per person. Departures between February and October 2020. An extraordinary seven-night coastal cruise round trip from Larnaca that explores the treasures of the Holy. The cruise calls at Haifa and Limassol and includes two excursions to Jerusalem and Nazareth as well as optional excursions to Bethlehem and Jericho, Galilee, Nicosia, Kyrenia and Paphos. Cruise only prices from A$1886 per person. Departures between January and March 2020. Michel Grimm, International Sales Director for CroisiEurope, comments: “I’m really excited by these new itineraries which feature some stunning new destinations and which I’m sure our guests will love. At CroisiEurope we pride ourselves on offering a diverse range of cruises – from perennial favourites on the Rhine, the Seine, the Danube and the Douro to more innovative itineraries on the Guadalquivir, the Po, the Garonne and on Lake Kariba in Southern Africa. All our cruises offer fantastic value for money at a mid-range price point so I encourage consumers to book early to guarantee a place on the cruise of their choice. 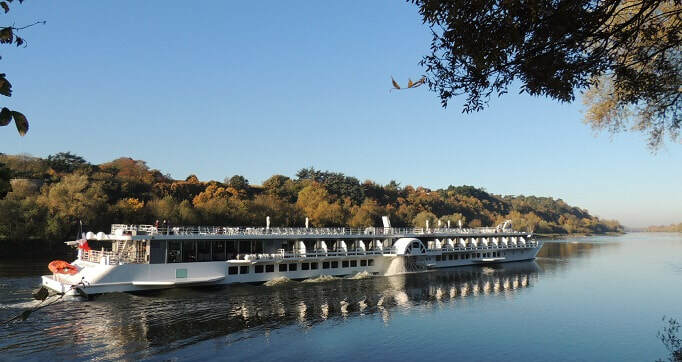 In 2020 CroisiEurope will offer cruises on the Seine; Garonne & Dordogne; Rhone; Moselle; Loire; Guadiana & Guadalquivir; Po; Douro; Rhine & Danube; Elbe; Mekong; and Lake Kariba in Southern Africa; as well as on the Adriatic and Mediterranean seas and on the French canals. Mature Traveller can highly recommend CroisiEurope, as we have sailed with them on several occasions and are planning more for this year. Look forward to our extensive reviews.